Let’s relax our bodies by bringing them into the state of harmony with the world and filling them with the Light of Life. Let’s sit comfortably, not leaning with our stretched backs against the back of the chair, move our legs under it and our chests forward. The tops of our heads are reaching out upwards to the Light, while our chins are moving closer to our bodies. Muscles of our heads relax, as well as our faces, necks, shoulders, bodies and legs. The Light flowing on us harmonizes us, and we start the Co-tuning. Part 1: Tuning to the Flow of Life as a pulsation of 4 Elements of the Nature by radiating Harmony into the World. The waterfall of Light falls from above along the Axis of the Spirit into our minds, cleaning our rainbow auras from darkness and grayness, and filling us with the joy of the awaiting to meet the new world. Let’s tune to these flows that flow into the World and fill it with Creation. We are visualizing them, and this visualization is tuning our Minds. Let’s imagine the silver flow floating from above that spirals clockwise along the Axis of the Spirit and fills us with the impulse of Creation. Let’s feel how all our energy centers (cores of our chakras) awaken to life in clockwise rotation. 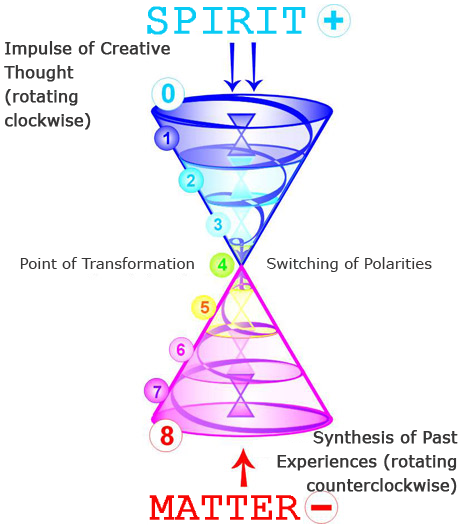 We are getting involved into the Axis of the Spirit, and the flow, by reflecting from the ground, forms the toroidal aura that circulates bottom up and falls top own again. This is the Space Magnet on all levels from the Universe to the primal matter that forms the toroidal field of the aura around us. According to the law of Polarity, the element of Fire from above causes the movement of the element of Earth from below – this is the experience of our past that we extract from our family, kin and nation heritage. The flow of Earth moves bottom up counter-clockwise (if seen from above) against the Fire by wrapping up the cores of our chakras along the Axis of the Spirit. And from the tops of our heads it flows down the aura and circulates by forming the toroidal flows that move in the opposite direction to the flows of Fire. When the opposing flows of Fire and Earth harmonize themselves, the funnel swirls are born in the horizontal direction – these are the flows of the element of Air. These swirls direct the surrounding world towards us, and we are becoming attractive to the world. The flows of energy already circulate horizontally and concentrate in these funnels the material particles of Earth co-directed by Fire. 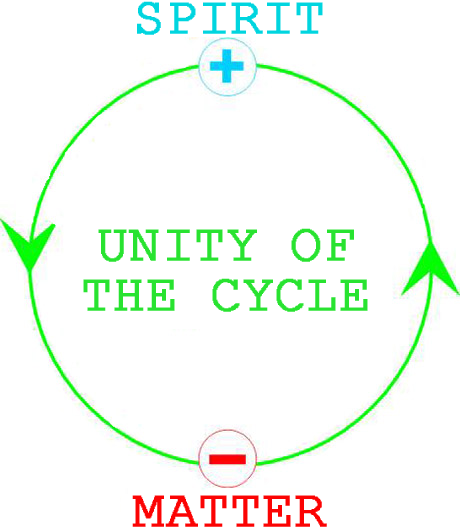 The flows of Air unite together and circulate horizontally also in the form of the toroidal aura. The flow of the element of Water collects all the flows of Air together by moving against them. The circulation of the unified toroidal field starts horizontally. All 4 Elements are born inside us, and we visualize the unity of the aura surrounded by them. By concentrating, these 4 Element fill the Cups of our Hearts. 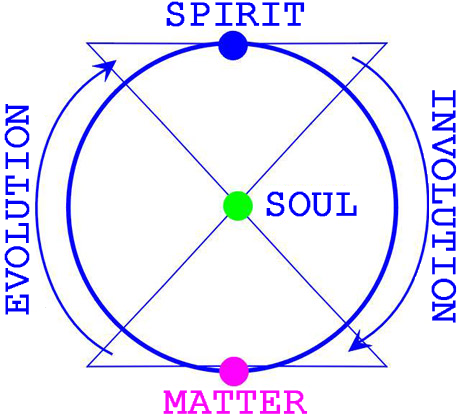 Being harmonized and resonating with each other, they radiate from our hearts with the synthesizing golden flow and wrap us into the toroidal halos already containing these 4 Elements. 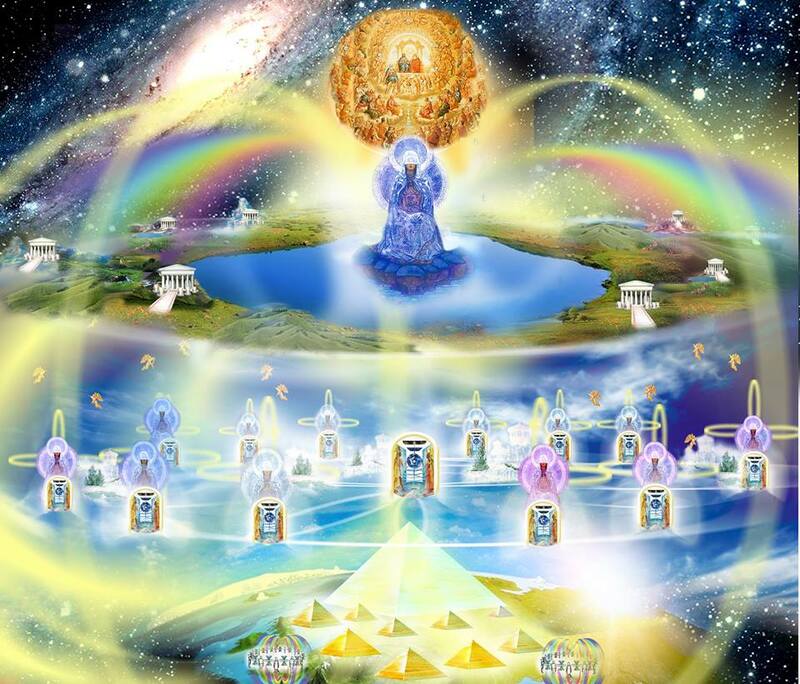 Part 2: Activization of our Male and Female origins, Yang-Yin energy flows and prototypes of Y and X chromosomes by radiating the Unifying origin of Life into the World. The Mind, as the cause and the program of our lives, is the male creative origin coming into us along the Axis of the Spirit from Sahasrara and starting to form the prototype of the Y chromosome. The flow of the Mind enters our hypothalamus centers by opening us the sense of our ideals, missions and predestinations. The surrounding world flows into us, and we visualize everything that surrounds us and must be filled with our predestination – this is the space of our Service. Two flows – of the Mind and Feelings, vertical and horizontal – unite in our hypothalamus centers and create the prototype of the Y chromosome. Then we breathe in this dual Yang-Yin flow into the Cups of our Hearts, and from below, according to the law of Polarity, the fire of Kundalini gets attracted, and it meets with the dual down-floating flow in the Cups of our Hearts. This trinity of flows radiates out of our hearts into the world with the starry shining predestination. Our Male activity is revealed this way. From the elements of Fire and Earth with the Element of Air we attract the matter from the surrounding world into the funnel, and this is the Female origin of attractiveness. And the Element of Water unites these flows into the completeness of the Flow of Life. 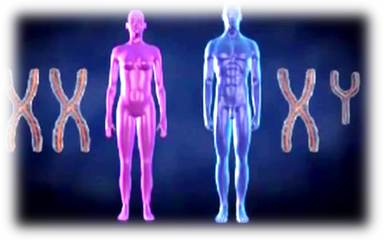 Flows that circulate in our auras create the prototype of the X chromosome. The Female flow meets the Male radiation from our hearts, they superpose, resonate, radiate and create the golden flow of the synthesis around us – the toroidal halo with the center in our hearts that allows a human to climb to the new heights and to deepen into the new world of relationships. Part 3: Activization of the 3 centers of Synthesis and radiation of our Creative and Transformative mission into the World. We are filling our hypothalamus centers as the centers of Enlightenment with 4 Elements again. The Mind and the Feelings, Fire and Earth are complemented by the elements of Air and Water – they resonate and unite in the centers of our brains. This flow radiates as a toroidal halo around our heads, and the radiance wraps around them. This radiation of the golden flow we inhale into our hearts. The dual flow of the golden radiation fills us with the Mindful origin and with the wise Love that is sensitive towards the needs of the people and of the world. 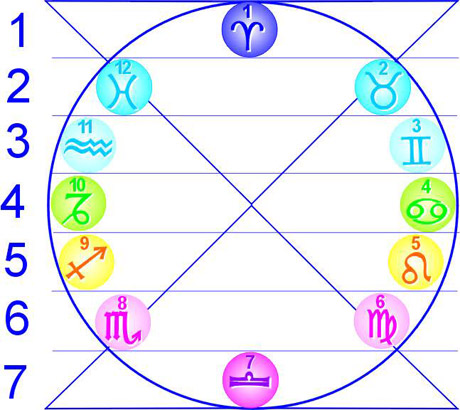 The flow of the element of Earth is attracted from below, so are the flows of elements of Air and Water horizontally. The flows of all 4 Elements concentrate in our hearts. The resonance of 4 Elements again creates the golden radiance – the second halo from the tops of our heads to the bases of our spines wraps our bodies into the golden flow. This golden flow fills our 3rd centers – of the Creation. From our hearts, the centers of Service, from which we unite with the world, bring our care into it and fulfill our predestinations in it, we fill our centers of Creation between Swadhisthana and Muladhara with the dual flow of the Mind and wise Love. It is the Fire of the expression of our higher and true Egos. Against the Fire, our deep experience of the past rises – the flow of Earth. The flow of Air attracts conditions and events from the surrounding world. The flow of Water unites all these so that the flows of all 4 Elements concentrate in our centers of Creation again and the golden light radiates out of them into the world. The 3rd halo wraps us around completely – from the tops of our heads to our heels. And as on the paining of Roerich “The Mother of the World”, we express ourselves in 3 circles of the golden radiance that shines into the world – they are our Temple of Life, our Family, Kin and Nation expressions, our Protective Circle. They keep us in the Axis of the Spirit from macrocosm to microcosm, so that we don’t step away from the Path of the Creation of Life. We touch everything in the world with this triple golden radiance, and it transforms everything from imperfect to perfect. With this radiance we build the United Energy System with the ones that surround us, widen the space of unity and consent, and this way express ourselves in all the completion by enlightening, serving and creating the world. We sense today as a new radiance of the triple shining golden flow. Now let’s take a breath by filling our triple synthesis with the new opportunities and the new content of today, and shining this way, let’s enter today to put the new content of our higher Egos into it. Let’s take a breath, open our eyes and realize that we are now co-tuned with the Flow of Life. 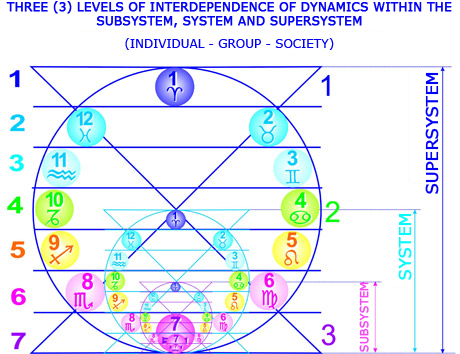 And next we need to put our internal triple flows into our active expression in the surrounding world.